Think Globally – The market for bioenergy products is global, and it is short-sighted to simply compare the value of bioenergy offtakes to the local city-gate price for energy. Around the globe, markets for the products of bioenergy systems continue to grow, and they are not just in the energy and fuel sectors. The market for bioenergy product liquids, solids (chars), and gases to displace manufacturing products and chemicals typically derived from fossil fuel refinement is growing, and such products are finding consumer preference, even when slightly more expensive than conventionally sourced materials. The vast wealth of bioenergy resources in the U.S. creates great opportunity for export of manufacturing products and industrial chemicals into the global marketplace. – Today’s successful bioenergy systems seldom rely solely on an energy offtake for financial stability. Rather, these bioenergy systems have learned to capitalize on numerous markets. Of course, the traditional model has included an energy offtake and the usual tipping fee priced to balance the budget. However, new product markets are continuing to emerge that afford additional offtakes and revenue streams, many of which are more attractive and perhaps more stable than the energy market. For example, some systems have found ways to market digestate and ash for use as organic fertilizers. Others have found ways to harvest and repurpose digestate fiber, and even certain lipids and enzymes sought in the pharmaceutical and nutraceutical industries. Regarding the energy fuel created by bioenergy systems – whether liquid (biodiesel, ethanol, methanol), gaseous (RNG), or solid (like pellets) – alternate markets that displace the use of petrochemicals in manufacturing are developing and hold great promise. In summary, the greater the market diversity, the greater the insulation from elastic fossil fuel prices. Sure, the projections for conventional fuels reflect a belief that energy costs are on the rise, and on a Btu/Btu basis, bioenergy systems will become more competitive with certain fuels, like diesel, once again. In the mean-time, building a bioenergy system proforma that takes advantages of current and emerging offtake markets, which are more diverse than ever, builds strength and redundancy in your proforma. Your lender and investors will thank you for it. Monetized Environmentalism – Intangible offtakes, such as carbon emission offsets, renewable energy credits, and nutrient trading credits are less affected, if at all, by crude oil prices. If anything, the short-term outlook for these environmental commodities looks strong, given the potential that some states will include biogenic sourced carbon fuels in their strategy for Clean Power Plan compliance. Although the U.S. Supreme Court ruled in a 5-4 decision in February 2016 to delay the CPP until its legality can be determined, global expectations for carbon emissions reduction efforts, as indicated through the Paris Agreement of 2015, will create expanded opportunities for monetization of additional environmental benefits from bioenergy system implementation. The recovery and beneficial repurposing of nutrients and water may also provide mechanisms for bioenergy system benefit monetization in the near future. Construction Costs are Comparatively Low – Low fossil fuel prices often translate into lower construction costs. Bioenergy systems are typically substantial construction projects, including the transportation of materials (sometimes over great distances), the use of heavy machinery, and includes petroleum-derived materials, such as plastics and PVC. 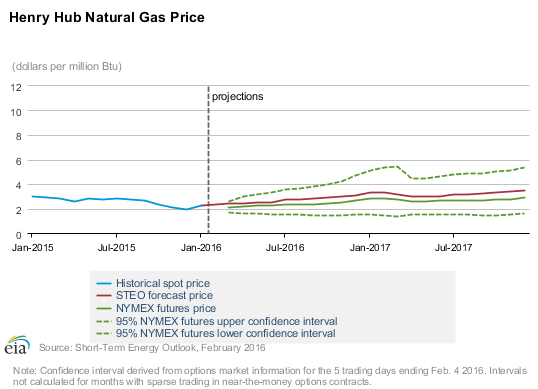 With the drop in crude oil prices, a comparable drop in the costs of fueling construction has been observed. While the costs of certain petroleum-derived products has fallen less sharply, the costs are observed to be less than even a year ago. These construction costs savings can have a significant impact to the costs of bringing a bioenergy system out of the ground, providing savings over the life of the project (as compared to the cost impacts of higher oil prices a year ago). For many, this means that bioenergy projects that almost penciled in recent years perhaps cross the threshold to financial viability. 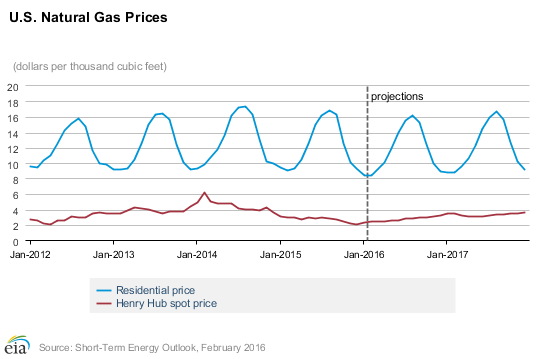 Rates are Still Good (for now) – Adding to the benefit of lower fossil fuel prices on the costs of construction, as described above, the cost of money is still considered to be relatively low. Most forecasters predict a slow and steady rise in rates, prompted by two to four increases by the U.S. Federal Reserve in 2016. A few basis points can translate into significant profit impacts and the return to your investors. Feedstock Market – In most parts of the U.S., feedstock is readily available and relatively inexpensive (if not free). Our culture all-too-often still sees organic byproducts, such as food waste, animal manures, and crop revenues as a waste, and its disposal a costly headache. Fortunately for bioenergy system developers, taking this waste disposal problem off waste generators plates can be very attractive, and the waste generators are often glad to give it away or pay you to take it. This mind set is changing, however, and savvy organic waste generators are beginning to realize the value inherent to these materials. We have even observed feedstock competition in certain areas of the country where regulatory pressures or other incentives have seeded the market for organic waste recyclers, and the costs of organic feedstocks swing from ‘a little’ to ‘a lot’. The depressed oil and gas prices have, perhaps, resulted in a slowing in the rush to develop organic recycling centers for the less-informed who believe the energy offtake is the only way to bioenergy system viability (see above). This extends the small window for current bioenergy system developers to obtain feedstock contracts that lock in feedstock prices before competition intensifies, driving the costs of feedstock up. Feedstock Transport – A major cost associated with getting feedstock into a bioenergy system is the cost of transporting the feedstock from its point of generation to the facility. With the costs of transportation fuels being lower right now due to depressed oil prices, now’s a good time to begin hauling that feedstock to your site. Or, a different way of looking at it, you can afford to go a greater distance to get higher quality feedstock. Certainly, the costs of transportation fuels will rise again, but bioenergy system developers can take advantage of the cost benefit for the time being, and realize increased returns until those fuel costs go back up (and maybe use those profits to convert the feedstock transport fleet to be fueled by your bioenergy products). Of course, the economics of each bioenergy project are dependent on a variety of diverse factors. While market uncertainty, perceived technology/feedstock risks, and regulatory uncertainty may suppress the short-term revenue outlooks, the increased market demand and monetization of other bioenergy system offtakes hold promise for strengthening value streams. The factors affecting the costs of bioenergy system deployment may be in your favor in the short term, so as the revenue potential improves over time, wise investments in bioenergy systems today can provide for a lower cost basis and a stronger bottom-line in the future.